12. David AS, Farmer AE, Murray RM. Schizophrenia and bulimia. International Journal of Eating Disorders 198; 65:771-775. 17. Halmi KA. Anorexia nervosa and bulimia nervosa. A Martin, F Volkmar (Eds. ), Lewis&#8217;s Child and Adolescent Psychiatry,New York, Lippincott, Williams & Wilkins, 2007, p.592-602. 18. Srinivasagam NM, Kaye WH, Plotnicov KH, Greeno C, Weltzin TE, Rao R. Persistent perfectionism, symmetry, and exactness after longterm recovery from anorexia nervosa. Am J Psychiatry 1995; 152:1630-1634. 19. Friederich HC, Herzog W. Cognitive-behavioral flexibility in anorexia nervosa. Curr Top Behav Neurosci 2011; 6:111-123. 38. Goethals I, Vervaet M, Audenaert K, Jacobs F, Ham H, Van Heeringen C. Does regional brain perfusion correlate with eating disorder symptoms in anorexia and bulimia nervosa patients? J Psychiatr Res 2007; 41:1005-1011. 53. Dadi&#263;-Hero E, Ru&#382;i&#263;K, Grahovac T, Valkovi&#263;T, Petranovi&#263;D. Treatment strategy in schizophrenia combined with eating disorder. 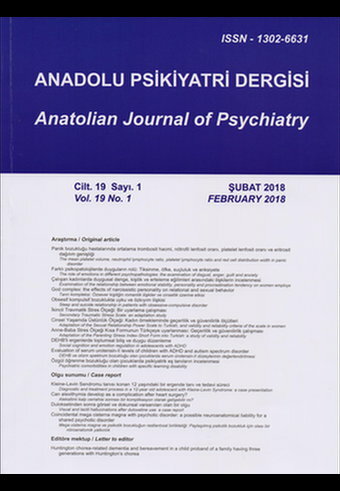 Psychiatr Danub 2011; 23:95-97. 54. Dadi&#263;-Hero E, Ruzi&#263;K, Pernar M, Kabalin M, Medved P. Olanzapine treatment in anorexia nervosa: case report. Psychiatr Danub 2009; 21:122-125. Obesity Reviews 2016; 17(2): 126.